Below you can view all the homes for sale in the Lake Claire Candler Park subdivision located in Atlanta Georgia. Listings in Lake Claire Candler Park are updated daily from data we receive from the Atlanta multiple listing service. To learn more about any of these homes or to receive custom notifications when a new property is listed for sale in Lake Claire Candler Park, give us a call at 404-998-4097. Off Street Parking W/ Plenty Of Space To Put In A Garage Without Giving Up Your Level Grassy Yard. MLS#6537302. Properly. Backyard Is Paradise: Wonderful Screened-In Patio, Level Yard, Koi Pond & Workshop! MLS#6534960. Compass. Features Include: Interior Paint,Updated Kitchen,New Carpet Upstairs,Hardwood Floors And Light Filled Floor Plan.Exterior Boasts Screened In Porch Adjacent To Expansive Patio,Rear Deck Nestled Among Tiered Hardscape & Perennial Lanscaping. MLS#6528311. Keller Williams Realty Metro Atl. Build Straight Up & Make This An Awesome 4 Bedroom, 4 Bath, 2-Story Gem! MLS#6530377. 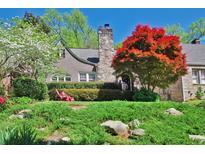 Keller Knapp, Inc..
Atlanta'S Sweetest N'Hood, Lake Claire: Walk To Decatur Eateries, Local Parks. Have It All. See Today! MLS#6526478. Re/Max Metro Atlanta Cityside. Walkable To Lake Claire Park, Market, & Shops! MLS#6525927. Petra Brothers Realty, Llc..
Just Minutes To Candler Park, Decatur, Inman Park, O4W & Emory Village. MLS#6522968. Engel & Volkers Atlanta. Accessible, Affordable, Cool, & Great Schools! This Is One Lucky Buyer. MLS#6522432. Keller Williams Realty Intown Atl. Common Greenspace, Walk To Decatur, Lake Claire Park & Shops/Restaurants! MLS#6518792. Re/Max Metro Atlanta Cityside. Just Minutes From Shopping & Dining In Decatur, Inman Park, O4W, And Emory Village! MLS#6513347. Exp Realty, Llc..
Fenced Yard & Patio For Entertaining. Great Schools! MLS#6512826. Keller Williams Buckhead. Features Living Room W F/Plc, Seperate Dining, Breakfast Room And Kitchen Leading To Laundry And Fenced Back Yard, 2 Bedrooms + Den (Or 3rd Bedroom), Hardwood Floors Throughout, Nice Moldings, Permanent Stairs To The Attic And More, All A Quick Walk To Lake Claire Park, Fellini'S, The Flying Biscuit And The East Lake Marta Station. Priced To Sell. MLS#6513205. Compass. Homes In The $900,000'S On Same St. MLS#6510397. Keller Knapp, Inc..
Don'T Miss This Rare Opportunity To Own A Truly Special Home. MLS#6502585. Compass. Walking Distance To Decatur, The Bike Path, Pullam Yards & More! MLS#6128989. Re/Max Metro Atlanta Cityside. Storage, 2 Year New Hvac Compressor, Covered/Gated Parking & Lake Claire Pool "No Wait List" W/Unit. MLS#6128590. Bo Bridgeport Brokers, Inc.. Walk To Lc Pool & Cp Restaurants & Shops. MLS#6122245. Compass. 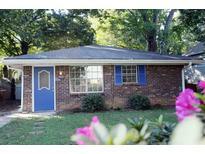 Located In Popular Lake Claire / Candler Park Neighborhood. MLS#6107863. Method Real Estate Advisors.